CHICAGO (AP) — The crowd of 39,275 roared when Jason Heyward caught Francisco Pena’s fly ball for the final out on a wet, cool afternoon at Wrigley Field. 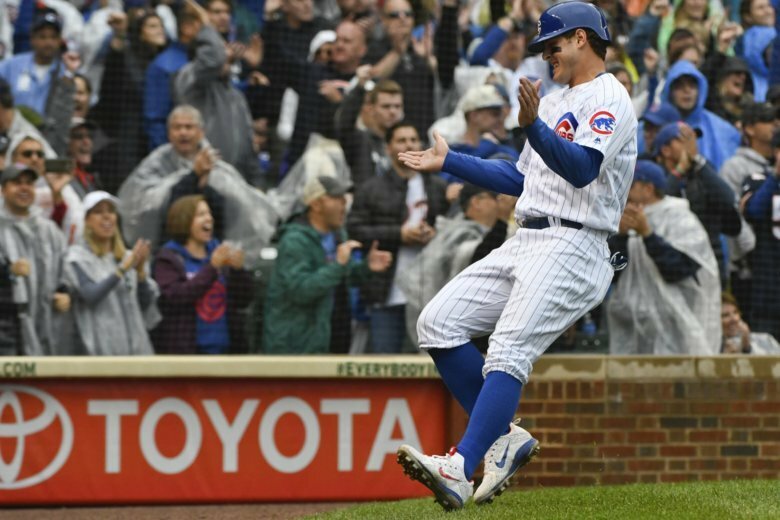 Anthony Rizzo had four hits and scored three times, and the Chicago Cubs set up a tiebreaker game for the NL Central title by beating the St. Louis Cardinals 10-5 on Sunday. Shortly after Milwaukee completed an 11-0 victory over Detroit, Jorge De La Rosa worked a hitless ninth inning to move the Cubs back into a tie with the Brewers at 95-67. Yairo Munoz walked with two out, but Pena’s harmless fly to right closed it out. Next up, game No. 163. “It’s interesting that baseball is such a perfect game in some ways that it takes 162 to not decide anything,” Cubs manager Joe Maddon said. “We just couldn’t stop them,” Shildt said. Jose Martinez, Paul DeJong and Patrick Wisdom each had two hits for St. Louis, which left 12 runners on base. Munoz finished with three RBIs. Rizzo became the first lefty batter in franchise history with four seasons with at least 100 RBIs. Cardinals: Wisdom was visited by a trainer and Shildt after he was hit by a pitch in the third. The trainer examined Wisdom’s left wrist for a short time, but he stayed in the game. … Wong (left knee) is expected to undergo an MRI in the near future, general manager Michael Girsch said. Jose Quintana (13-11, 4.09 ERA) will start the tiebreaker for Chicago. Quintana is 6-2 with a 1.60 ERA in 10 career starts against Milwaukee. The Brewers did not announce a starter.